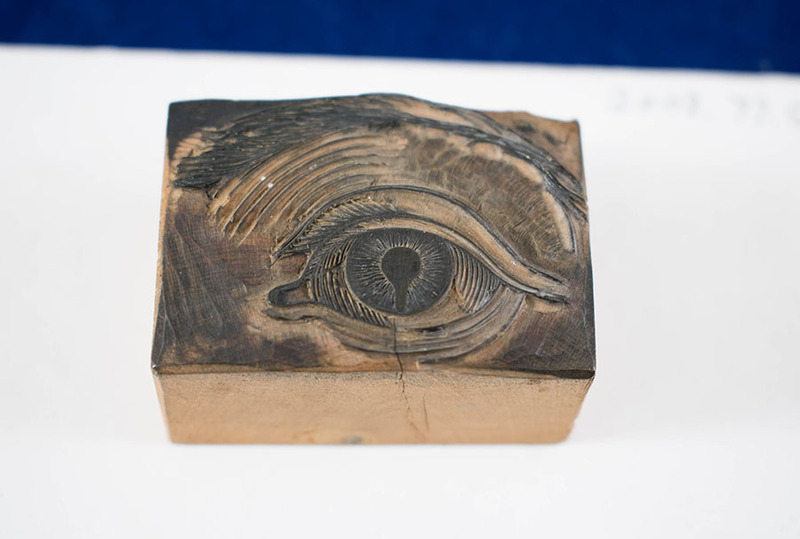 Woodcut of coloboma of the iris, wood, mounted on card, 19th century. 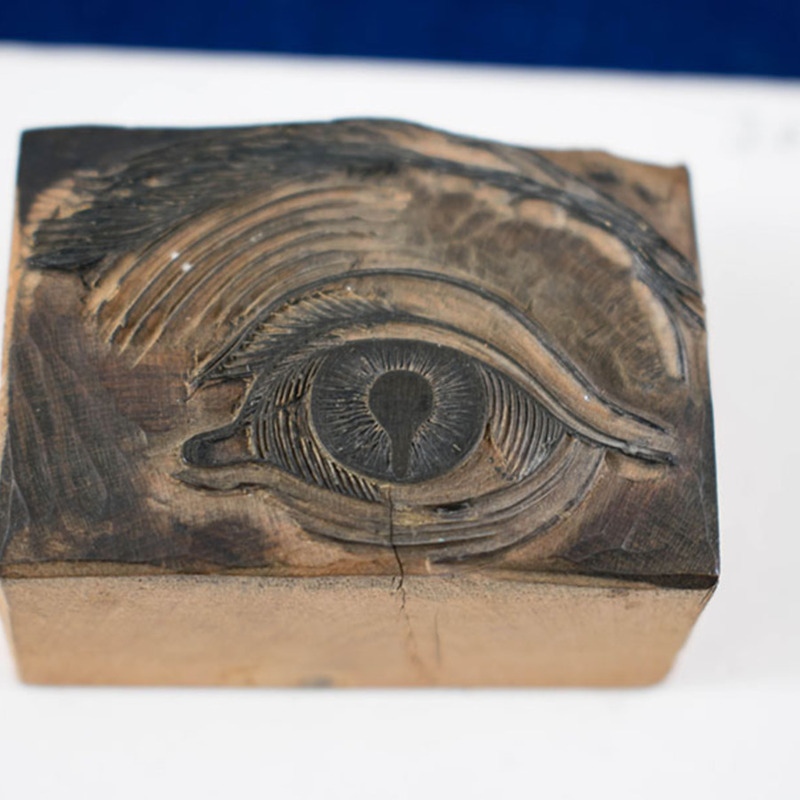 This woodcut was designed by Wharton Jones and Richie Brown with the intention of including the illustration in a textbook on ophthalmology that William Mackenzie was developing. 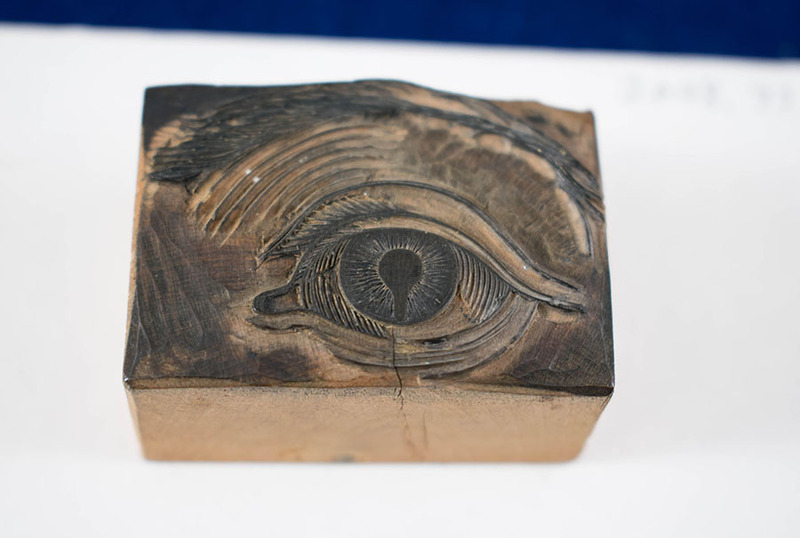 Wharton Jones and Richie Brown, “Woodcut of Coloboma of the Iris,” Heritage, accessed April 22, 2019, https://heritage.rcpsg.ac.uk/items/show/164. 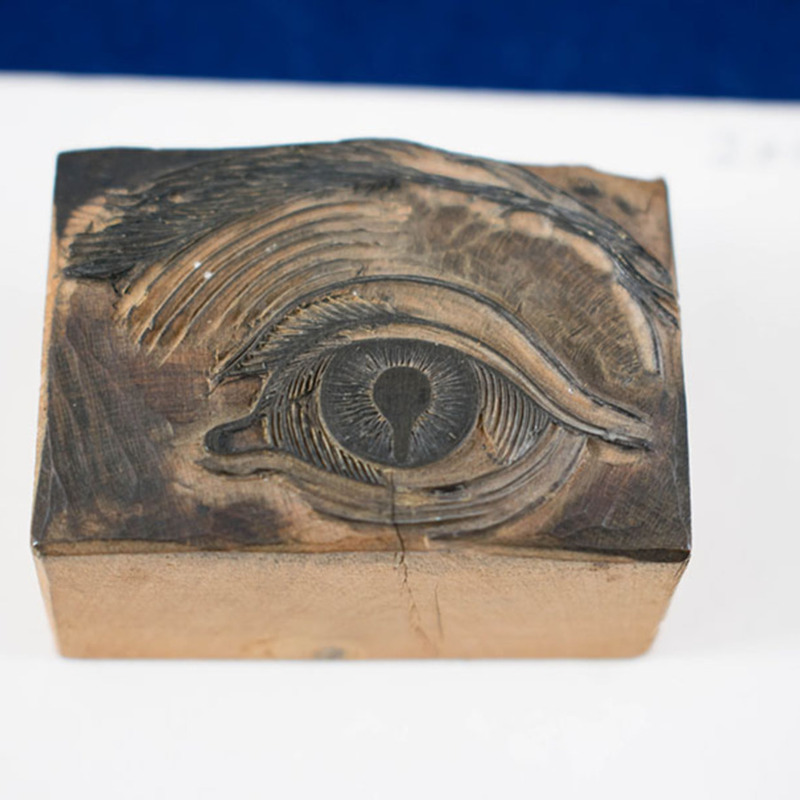 Description: Woodcut of coloboma of the iris, wood, mounted on card, 19th century. This woodcut was designed by Wharton Jones and Richie Brown with the intention of including the illustration in a textbook on ophthalmology that William Mackenzie was developing.